The most important piece of gear you can have on you at all times is, of course, the piece that lets you hold all the rest of your gear. Constructed by hand from our durable oiltan hide, perfect for holding that reliquary of Saint Dionysus, or a few spare Samaritan rounds. Our large pouches measure in at 5.5x5.5x2 inches externally- perfect for holding your phone, keys, wallet, camera, or anything else you might normally need stuffed into a pocket. 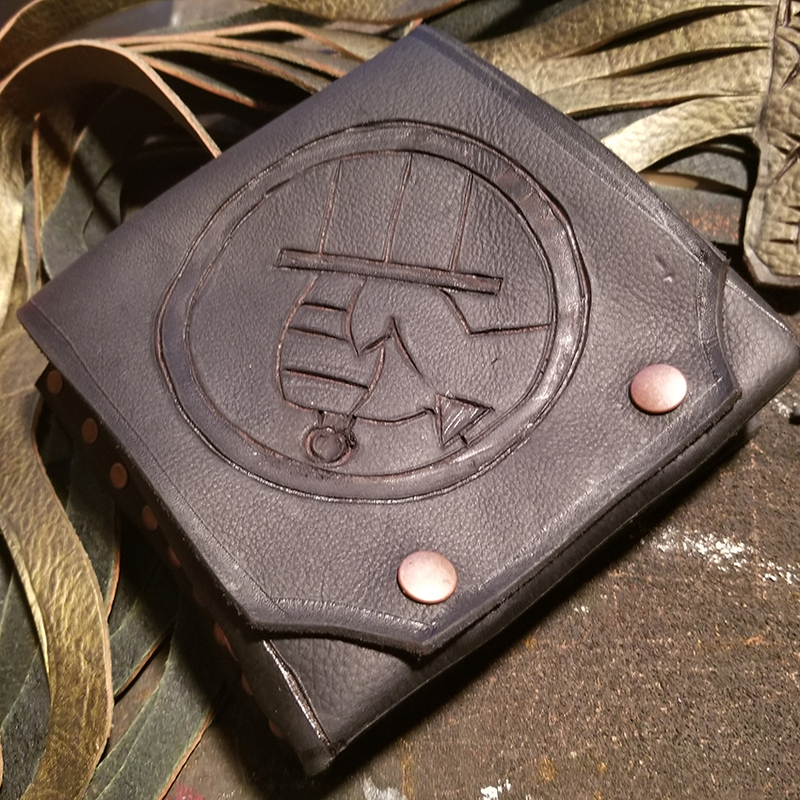 Internally, there's also a cash/card sleeve built into the back wall of the pouch, and two d-rings for hooking on anything that might need either extra security, or to just hang free of the pouch itself. This new BPRD design features a special combination- our usual black or brown leather with our new nickel-free copper hardware. 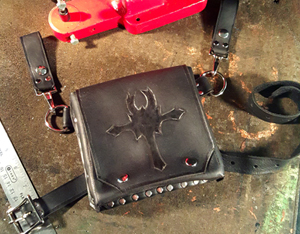 Tired of your pouch getting called a "steampunk fanny pack" because it's stuck up on your belt? Want it hanging a touch lower? Just run the hanger strap and 28-inch thigh belt through the rear of the pouch like you would a normal belt. The two hanger clips can then be looped around your belt or belt loops, while the thigh belt secures the pouch around your leg. Color will be automaticcally matched to the pouch you order. Our most basic accessory- a single thickness of our oiltan hide, cut to match your pouch. 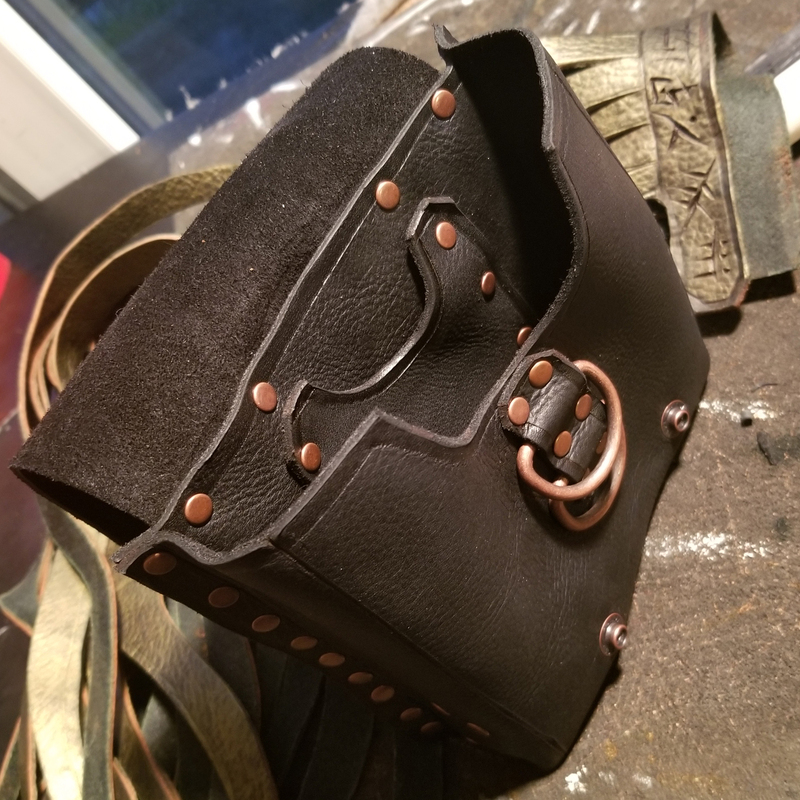 Our belts measure 1.75 inches in width, and will be sized to fit a 28-36 inch waist- if you need larger or smaller, just let us know in the notes on your order.